Absolute Steel Texas, with offices in Terrell, Texas will be able to improve access to locally-produced steel building kits with after coming to an agreement to offer its products at Lowes Home Improvement stores in Texas. Absolute Steel, after months of research, created a unique line of building kits to offer through the chain via Special Order through select stores in Texas. These steel building kits are easy to assemble and require only basic construction expertise, making them perfect for the do-it-yourself builder. 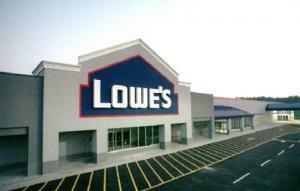 Prior to the arrangement with Lowes these products were only available by contacting the company directly through their website or by phone. The company offers a range of steel building products – including carports, farm structures, oil field accessory buildings and canopies. All steel structures manufactured by the company use galvanized steel tubing sourced in the USA, for a completely local product. Each kit is labeled and packaged in manageable bundles for easy transport and is accompanied by easy-to-follow, illustrated instructions for straightforward construction. Founded in 2010 by family owned Absolute Storage LLC dba Absolute Steel, the company is the leading tubular steel building manufacturer in America. Absolute Steel Texas went online in 2010. The company manufactures steel buildings, carport systems and other structures for the general public, governmental use, commercial /corporate, and private consumers.